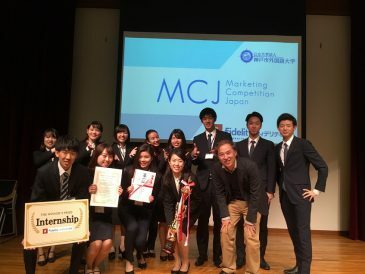 Glory again as students from Dr.Fukuoka’s seminar pick up 1st prize at the Marketing Competition Japan 2018 for the second year running. On December 16th, Team Frantz (Misaki Kimura/Senior, Hitomi Saito/Senior, Rena Shimizu/Junior, Ryusei Noda/Junior) from Dr. Fukuoka’s seminar won first prize in the final round of the Marketing Competition Japan 2018, held at Kobe City University of Foreign Studies. 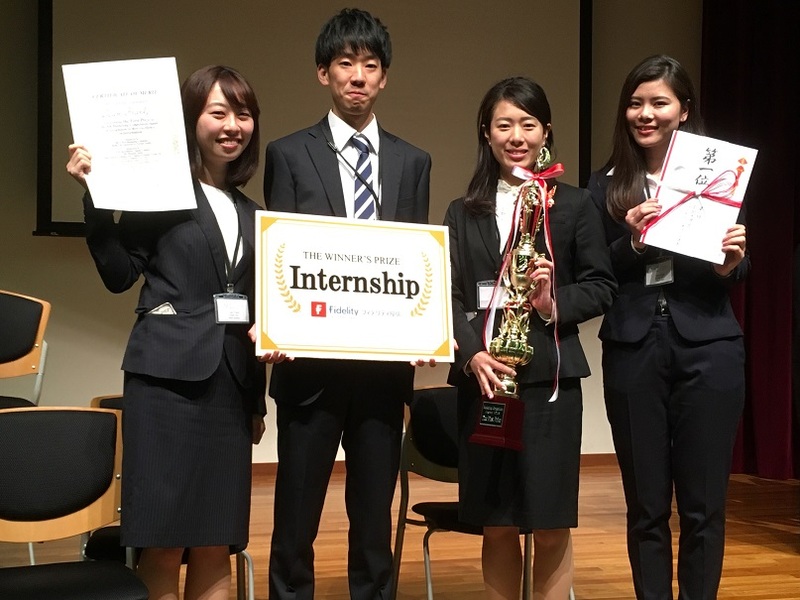 Team member Hitomi Saito was pleased with the award: “thanks to all team members, we were able to make it! 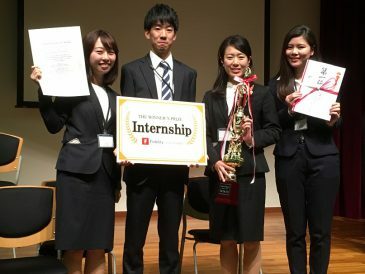 Also, I appreciate all seminar members’ practical feedback and Dr. Fukuoka’s insightful advice.” Indeed, this is the second consecutive year that teams under Dr. Fukuoka’s tutorage have picked up awards; in 2017, teams from Dr. Fukuoka’s seminar picked up first and second prizes.